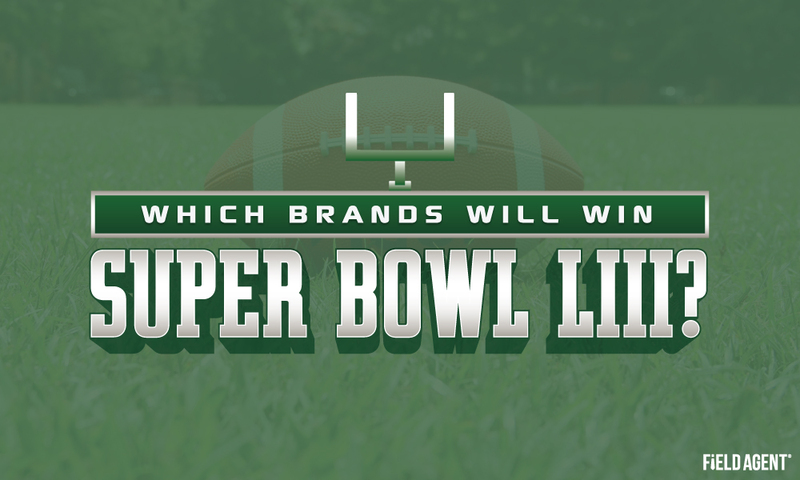 Which Brands Will Win Super Bowl LIII? When heated rivalries, intense competition, and world-class talent take center stage. Oh, and there’s a football game, too. Super Bowl Sunday isn’t, after all, just about football. It’s also about epic levels of eating and drinking—gorging on fan favorites like pizza, chips, beer, and soda. 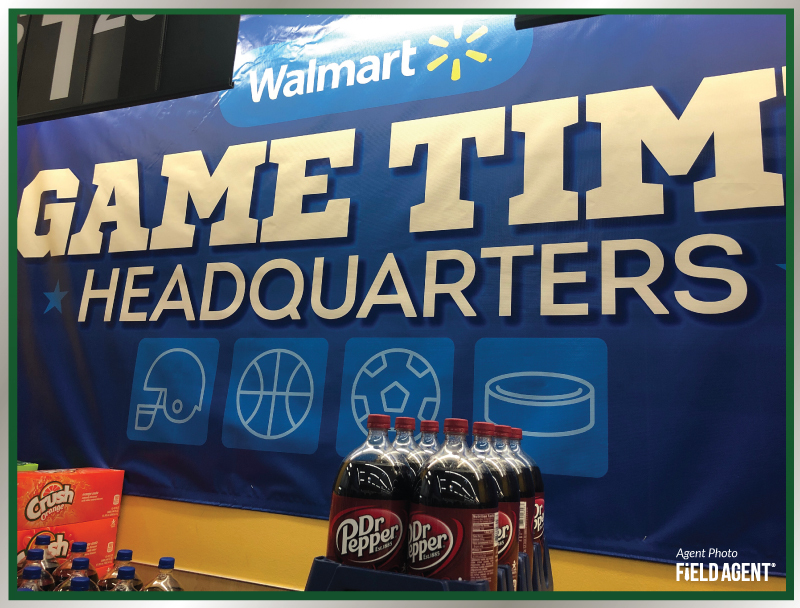 Consequently, Super Bowl Sunday is a hotly-contested day among many consumer brands, each vying for their own piece of Super Bowl glory. So which brands are poised to have the best Super Bowl Sunday this year? 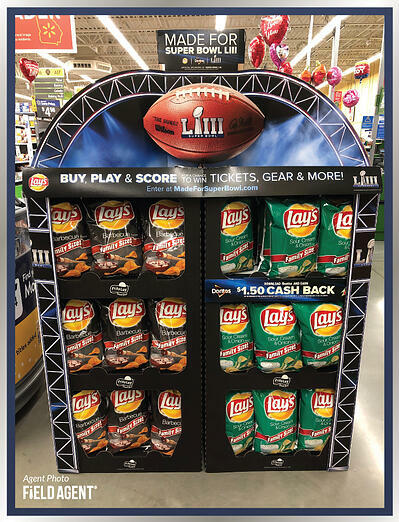 Retail-auditing and insights firm Field Agent surveyed 3,714 football fans*, all planning to watch the big game, about their Super Bowl LIII shopping and consumption plans. *Based on a crowdsourced sample of 3,714 U.S. adults at least 18 years of age who plan to watch Super Bowl LIII. Respondents completed the survey through the Field Agent mobile app, January 25-28, 2019. Demos -- Gender: Female (67%), Male (33%); Age: 18-24 (4%), 25-34 (27%), 35-44 (37%), 45-54 (21%), 55-64 (10%), 65+ (2%); Household annual income: <$35K (23%), $35-49K (20%), $50-74K (23%), $75-99K (16%), $100K+ (19%); Ethnicity: Caucasian or some combo (75%), African American or some combo (11%), Hispanic or some combo (8%), other (7%). 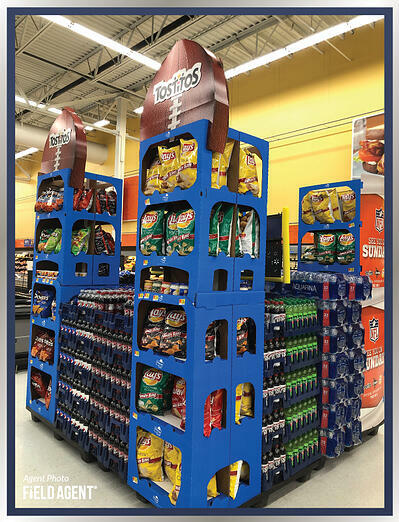 Almost half, 47%, identified Walmart as their go-to retailer for Super Bowl munchies, followed by Kroger (11%), Target (7%), Aldi (6%), and Costco (6%). We asked this same group of shoppers (N = 3,126) how they plan to obtain food and beverages for Super Bowl LIII. While the vast majority, 90%, mentioned they would do so by shopping in stores, 15% indicated their gameday groceries will be acquired, at least in part, via in-store/curbside pickup, and 6% said the groceries will be delivered to their homes. Note: Each brand above encompasses its diet or low-calorie variations (e.g., Coca-Cola includes Diet Coke, Coke Zero, etc). Notably, almost a quarter, 23%, indicated they do not expect to drink soda during the game. Nearly half, 44%, said they don’t plan to drink beer during the game. And get this: Only 6% said they do not expect to consume salty snacks during the Super Bowl. Of 3,714 game-watchers, 14% identified Pizza Hut as the pizza brand they’re most likely to eat during the game, followed closely by Domino’s at 13%, Little Caesar’s at 11%, and Papa John’s at 10%. Digiorno (5%) performed best among frozen options, with Tombstone and Red Baron each hauling in 2%. In all, just 27% indicated they don't expect to scarf down pizza on Super Bowl Sunday. And just for kicks, which team is America rooting for in Super Bowl LIII? Of a total 5,012 U.S. adults surveyed, including both game-viewers and non-viewers, 39% signaled they’re rooting for the Rams, compared to 24% cheering on the Patriots. The other 37% said, simply, “I don’t care” one way or the other. Mobile Research takes you where the action is, so you can be "in-the-moment" with your customers when it matters most. Field Agent's mobile research and mystery shop programs get you even closer to your core customers. Download "How It Works: Mobile Research" to see how we crowdsource over a million smartphones to keep companies in the know about their customers.